Big Apple Secrets: Bloomingdale's. The windows of the world. 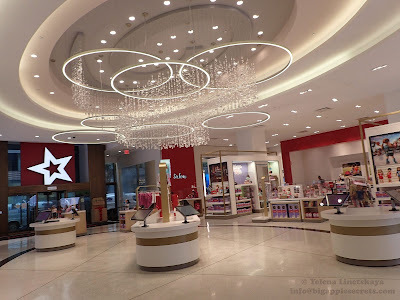 Bloomingdale's is an upscale chain of department stores owned by American multinational corporation Macy's, Inc.
Bloomingdale's started in 1861 and in 1930 moved to its' current location of Lexington Avenue. 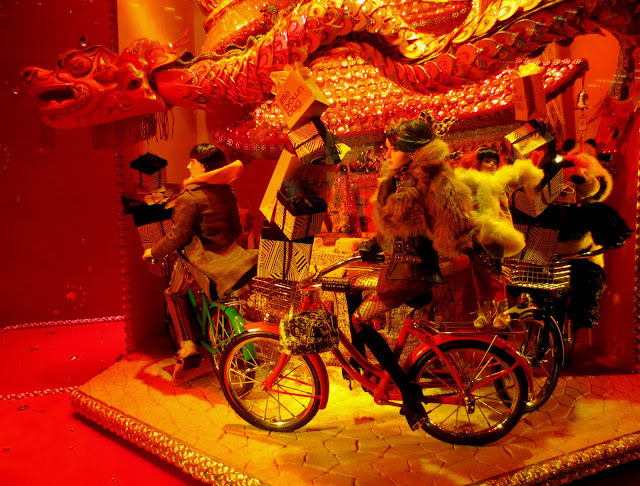 In 1949 Bloomingdale's joined Federated Department Stores, now Macy's, Inc.
Bloomingdale’s Christmas Windows 2013 this year are gift themed—"All Wrapped Up In Bloomingdale’s." 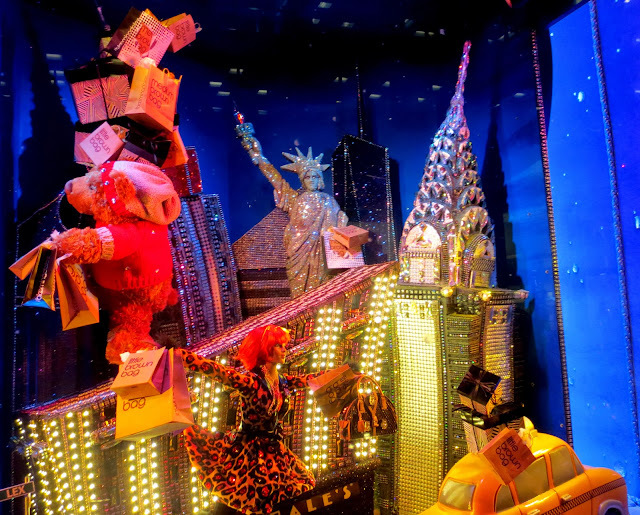 Each of the flagship's Lexington Avenue windows have holiday shopping scenes from different cities and countries around the world, including New York, Paris(France), Venice (Italy), London(Great Britain) and China. 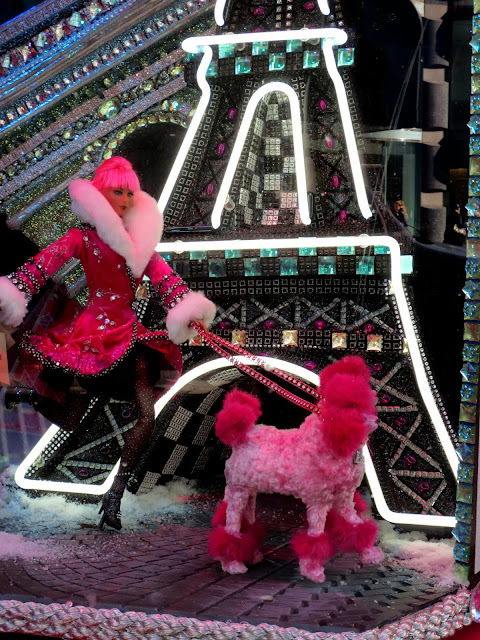 Every country has its iconic symbols: Santa travel on gondola in Italy, there is an Eiffel tower in Paris and yellow taxi in Big Apple. 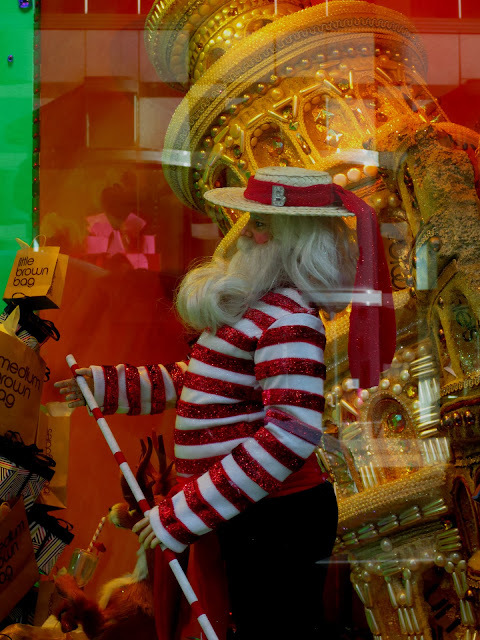 "This holiday we invite you to unwrap the world of peace, joy and cheer- with festive surprises from Britain, China, France, Italy, New York City and beyond. Take a journey with us around the world without even leaving Lexington Avenue, and remember that certain tings like love and style are universal. Bon voyage and happy gifting!" is written on one of the windows.